About Australian Sogetsu Teachers Association Inc. The NSW Branch of ASTA started meeting about 58 years ago and continues to share the delights of ikebana through exhibitions, workshops and meetings. Ikebana students and teachers meet regularly throughout the year on either a Saturday or Monday in Chatswood in Sydney’s North. Members come together to share ideas and their enthusiasm for ikebana through participating in creative workshops and discussions. If you would like to meet with us please contact one of the committee members who will be delighted to welcome you or email us for more information. Norman Sparnon and his wife Mary returned to Australia in 1959 having spent thirteen years in post-war Japan. 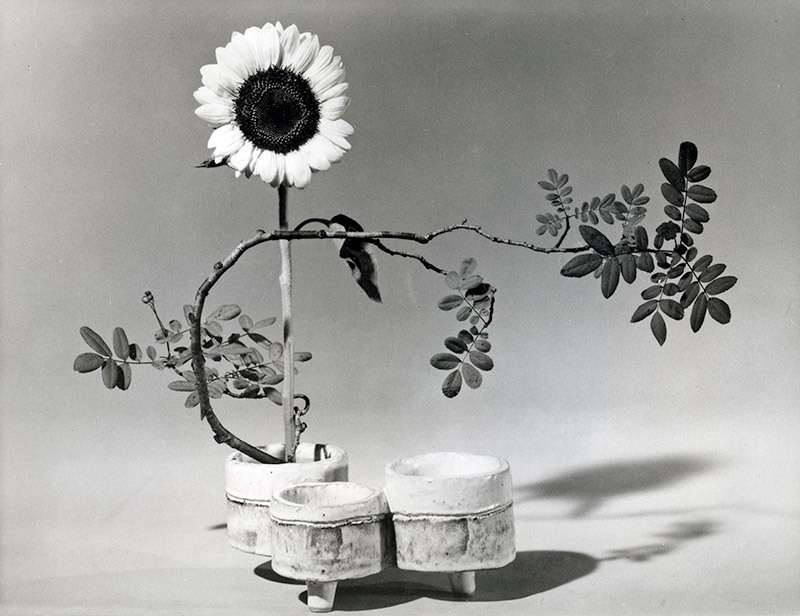 During those years the beautiful Art of Ikebana enraptured him. He studied under the great Sofu Teshigahara founder of the Sogetsu School and under Professor Yuchiku Fujiwara of the Ikenobo School. He saw the possibilities, through this Art of promoting International peace and understanding, and contributing to Australian – Japanese relations. He returned to Japan for the publication of his first book “Japanese Flower Arrangement – Classical and Modern” after which he returned to Australia making Sydney his home. In Sydney, Sogetsu Ikebana became well known through his demonstrations, exhibitions and through the activities and enthusiasm of the teachers he trained. 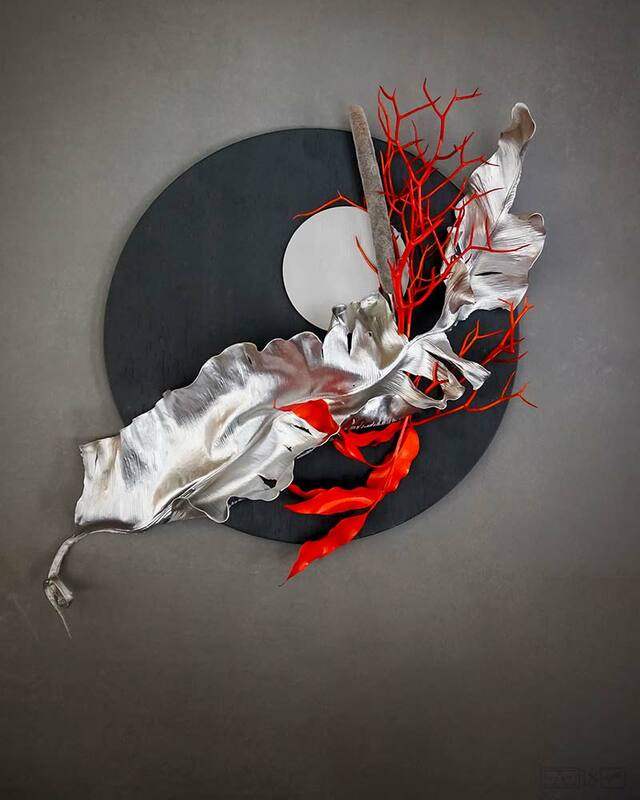 The Art of Ikebana has been displayed at the Opera House, Art Gallery of New South Wales, Museum of Contemporary Art, Town Hall, Queen Victoria Building (under the umbrella of Ikebana International), ANZ Bank, The Overseas Terminal, Eryldene, Georg Jensen and David Jones. Sofu Teshigahara visited Sydney in 1967, Kasumi (Sofu’s daughter) visited in 1974 as did Hiroshi Teshigahara the late Iemoto of the Sogetsu School in 1985. In recent years Sogetsu has been displayed at The Royal Botanic Gardens, Floriade in Canberra, Australian Catholic University in Strathfield, The Hazelhurst Gallery in Sutherland, Gosford Japanese Gardens, Ku-Ring-Gai Art Centre, Australian Garden Show, Paradise Gardens at Kulnura but to name a few venues. In Sydney, there are eight practising teachers who are encouraged to exhibit and demonstrate at such events as Ikebana International’s annual luncheon where we are well represented. Norman Sparnon OAM, pioneer and inspiring teacher of Ikebana in Australia and abroad was born and grew up in Melbourne, Victoria. Sogetsu School of Ikebana, Victorian Branch Inc.